very situational cause it's 4 cost spells, and hoping to have at least 3 minions alive on board. but good combo for savage roar. 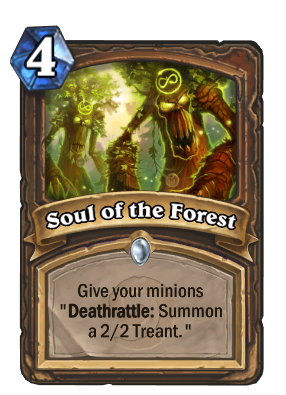 I wonder if spells that give a minion Deathrattle (Ancestral Spirit, Soul of the Forest, Explorer's Hat) will cause a non Deathrattle minion to count as a Deathrattle minion for the purpose of N'zoth? I have a hard time using this card. I want to include it in all my decks but it feels like it only helps me win faster and never saves me from a loss. It either wins me the game or sits in my hand. 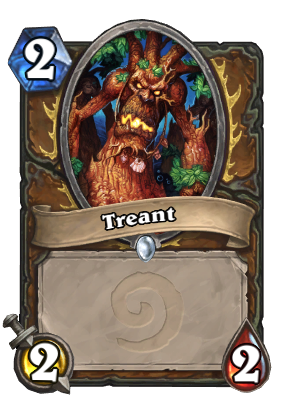 Hey, one time I was playing Priest vs. Ramp Druid and used Thoughtsteal, stealing Nefarian and Savage Roar. Later, I played Nefarian and pulled Dark Wispers and Soul of the Forest... I nearly crapped my pants. Needless to say, he lost. It took me a while to find a deck for this card to work well in, but I finally got a decent deck going with this and it's a lot of fun. If anyone's interested: decklist! Does it overwrite existing deathrattles if you for example use it on Sylvanas or does it just add another? Notes: Refrain from vulgar statements.